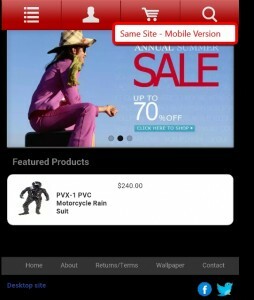 Is Your Zen Cart Site Mobile Friendly ? Is your site ready for Google’s ‘Mobilegeddon’? If your site isn’t Mobile Friendly – then you are in trouble. Because, as of April 2015, Google has started punishing any site which is not Mobile Friendly. This new approach is both fast to implement – typically we turn this kind of project around within 10 days and even better, super affordable!